NEW TO THE FAMILY OF WASHINGTON CHRISTIAN CHURCH! We have been tracking our new “lambs” joining the flock since 2012 on this page. The newer additions are posted toward the top and older additions further down the page. We thank God for all of our flock!!! On November 25th, 2018, Dan Barnhill and Pam Linck came forward to place their membership here at WCC. On November 4th, 2018 Dan Barnhill came forward and was baptized into Christ. Dan works as an over the road truck driver and has been attending on the weekends he is home. 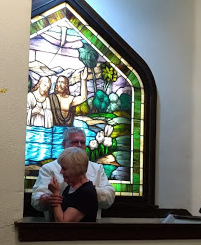 Pam Linck was baptized August 12th, 2018 in Marysville, Kansas at the Church of Christ. Dan and Pam plan to be married in 2019. We are very happy for both of them and glad to have them as members at the Washington Christian Church. On October 18th, 2018 Leland Cook came forward to renew his membership here at WCC. Leland was baptized here on November 12, 1972. He has been a member for many years and we are thrilled that he desires to be actively involved again. Welcome back Leland! On August 5th, 2018 Garrett Kohlmeyer came forward to surrender his life to Christ in Christian Baptism. Garrett is Rob Kohlmeyer’s son. His family has attended WCC for several years. It was a happy day as the sanctuary was packed with people celebrating a successful VBS and now celebrating a wise move on Garrett’s part. The decorations still covered the front of the church so Garrett was baptized that afternoon at 2:00 with some family and friends there to support him. Congratulations Garrett, we are all so proud of you. Rosalie Line and Marilyn Cecrle were baptized on June 29th, 2018. We are thrilled to have these women join us in serving our Lord together as part of the family here at WCC. Rosalie and Marilyn had several friends supporting and encouraging them in their decisions to be baptized. We want to welcome Danny and Ava Simnitt to serve the Lord with us here at WCC. Danny and Ava came forward May 22nd of 2018 to renew their membership. Danny was baptized here in 1961 and was married to Ava in 1973. Ava was baptized in June of 1973 and they have returned to the Washington area. So glad to have them in the flock. Welcome Danny and Ava! What a glorious weekend with Don and Kaitie Wenzl family coming forward December 4th, 2016 to officially become part of the family here at WCC. Saturday night December 3rd, they celebrated Terry’s 1st birthday with family and friends in the Fellowship Hall. That night several friends joined them in the sanctuary where Don and Kaitie were immersed in Christ. Don and Kaitie have been believers in the Lord Jesus Christ for many years and have been attending WCC for many months. Sunday morning was also a time for them to publicly declare their desire to raise Terry to the best of their ability to know Jesus as Lord. We all witnessed their “Parent Consecration” during our worship that Sunday. We welcome the Wenzl family to the flock! We support the Washington County Ministerial Association and their involvement in the local Jail Chaplaincy Program. Our Law enforcement officers and jailers are some of the best in the state. They treat those who end up incarcerated very professionally. They provide opportunities for the local chaplains to minister, counsel and help the inmates learn to make better decisions. 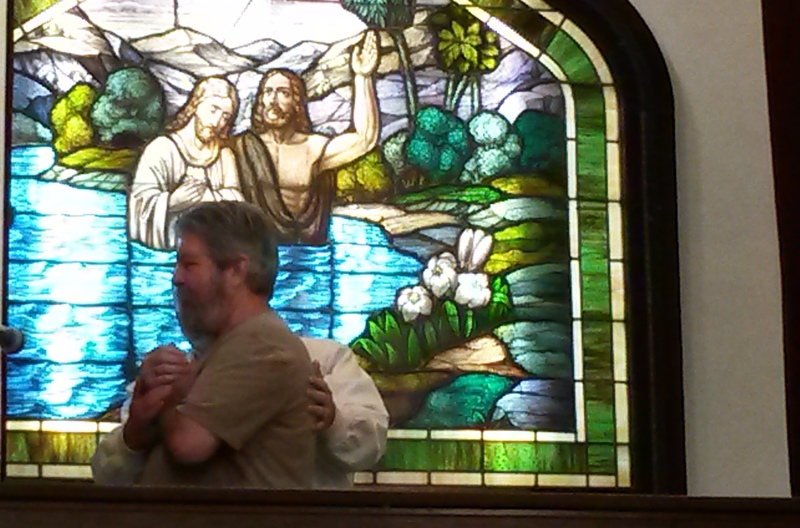 We celebrate two men surrendering to the Lord in Christian baptism. Pray for our law enforcement officers, the jailers and the men and women incarcerated. Celebrate with us that Justice and Billy were allowed to be baptized July 7, 2016. Our chaplains currently are: Jim Stark (Pictured left), Rustin McClure (Pictured right), Ron Brown, Judy Hill, and Kevin Wood. On May 29th, 2016 Holly Keller came forward to surrender her life to Christ in Christian Baptism. Holly is the daughter of Pam and Kevin Keller. They have all attended WCC for several years. It was a happy day for the Keller family. Congratulations Holly, we are all so proud of you. Easter Services were even more special with several people making decisions to honor God by serving Him in this congregation. 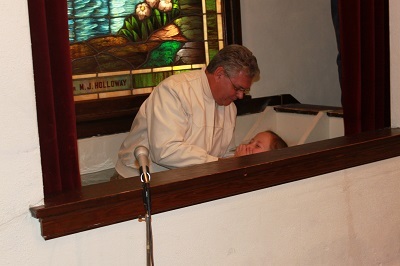 Wil Algee was baptized after the “Son-rise” service and Easter Breakfast. Wil also came forward during the morning worship to make his confession of faith in Christ as his Lord and Savior. Congratulations and wise move Wil. We are happy to have Paul and Dorothy Weisiger come forward to join the flock on Easter morning. Paul and Dorothy have been attending Sunday School and worship services for several months and live just walking distance from the church facilities. They have been Christians for many years and we are so glad to have them as part of this flock! We are also very glad to have Janis Bryant become a member here at WCC. Janis came forward Easter Sunday to place her membership with us. Janis is the sister of Dorothy Weisiger and has attended this church for some time. Janis and Dorothy were both members of the Christian Church many years ago in Greenleaf. They have attended and served the Lord in many churches over the years. We are so glad to have them as part of this flock. On March 13th John Franssen came forward to surrender his life to Christ in Christian Baptism. John is 10 years old and is the son of Chris and Sarah Franssen who have been coming to Washington from Superior, NE. to help sponsor the Youth Group. 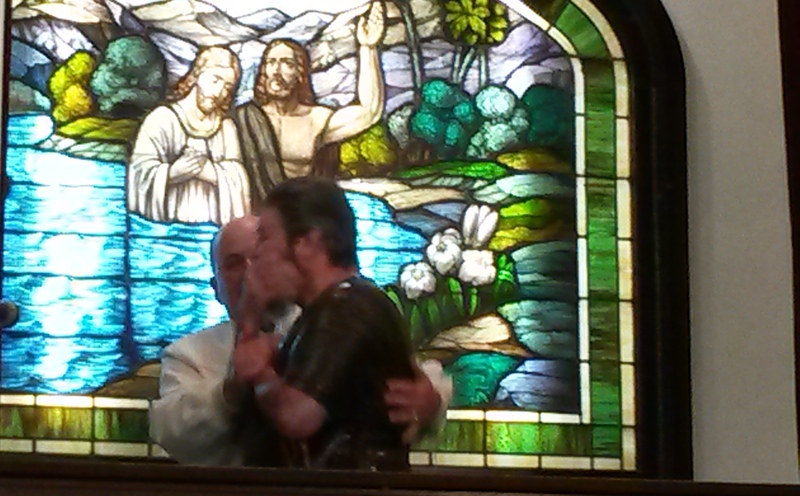 John was baptized by his grandfather, Jim Stark who is our minister. It was a happy day for the Stark and Franssen family. Congratulations John, we are all so proud of you. On February 14th, 2016, Peggy Manning came forward to transfer her membership to the Washington Christian Church. Peggy lives in Greenleaf, Kansas and is the sister of Mike Manning. Peggy accepted Jesus as Lord and Savior many years ago and was immersed into Christ in a Southern Baptist Church in Oklahoma. She has attended WCC many times and decided it was time to become a part of this family. We are so glad to have Peggy as a part of the flock! We want to welcome Dan and Tina Ditmars to the flock here at WCC. Dan grew up in this church and went to Bible college then into youth ministry. Dan and Tina met at college, were married and after their schooling served the Lord in the Circleville Christian Church for several years. God has blessed them with two beautiful and energetic kids, Ryan and Olivia. They are now in the Washington area and we are happy to have them serve our Lord here at WCC. Dan and Tina officially joined the flock February 7th, 2016. Marv and Deb Leis came forward on August 9th, 2015 to join the church here at WCC. Deb Leis placed her membership with us from the Beatrice Church of Christ. 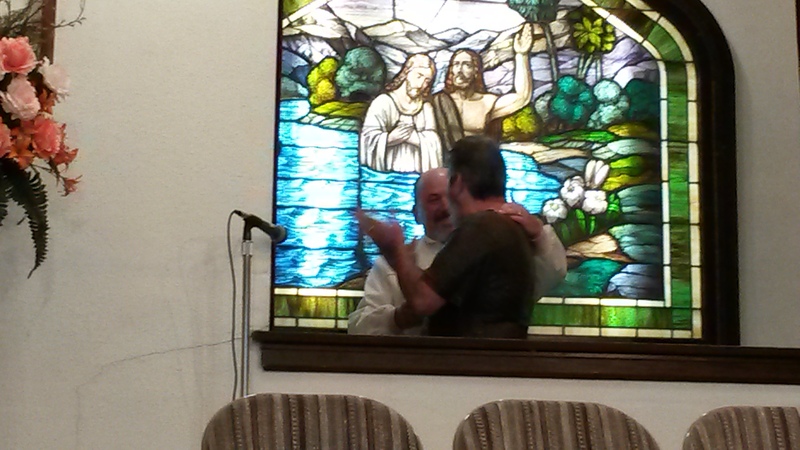 Marv was baptized into Christ by Dennis Porteneir. Dennis and Angie Porteneir were instrumental in inviting them to come and be a part of what God is doing through WCC in the Washington area. We are so happy to have Deb and Marv as part of our flock! The day was even more special as it was Marv’s birthday. What a great day to celebrate a birth and a “rebirth”! 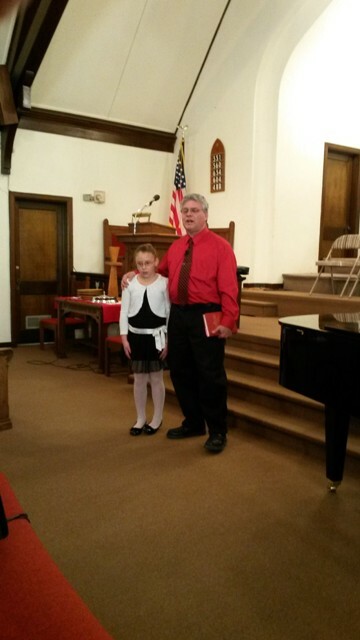 Coy Stamm, was baptized February 15th, 2015 here at WCC. We are so proud of this young man for knowing so early in life who to follow as Lord. 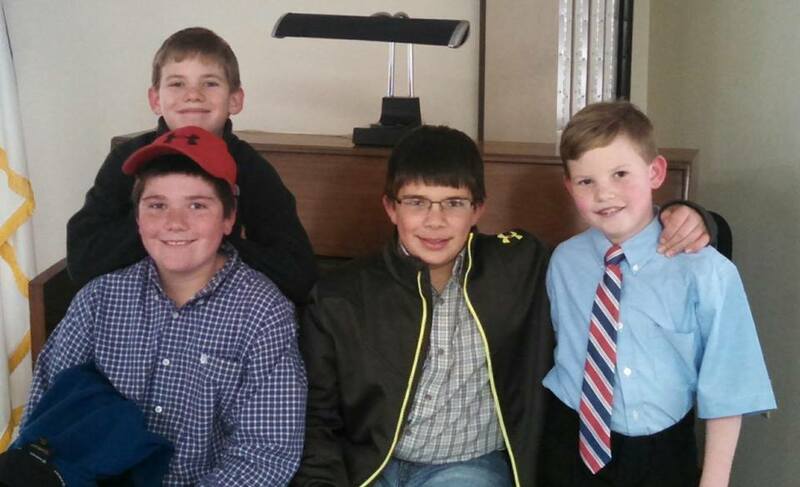 He is pictured here in the red cap with his good buddy’s Nathanial, Hunter, and Garrett. Congratulations Coy! Trusting in Christ and His shed blood on the cross is what baptism is all about. On October 19th, 2014, Abby Wenzl came forward to transfer her membership to the Washington Christian Church. Abby comes to us from Colorado where she accepted Jesus as Lord in 2005 and was immersed into Christ. She was a member of the Christian Family Fellowship in Canon City, Colorado. We are so glad to have Abby as a part of the flock! June 29, 2014 was another great day for Washington Christian Church. 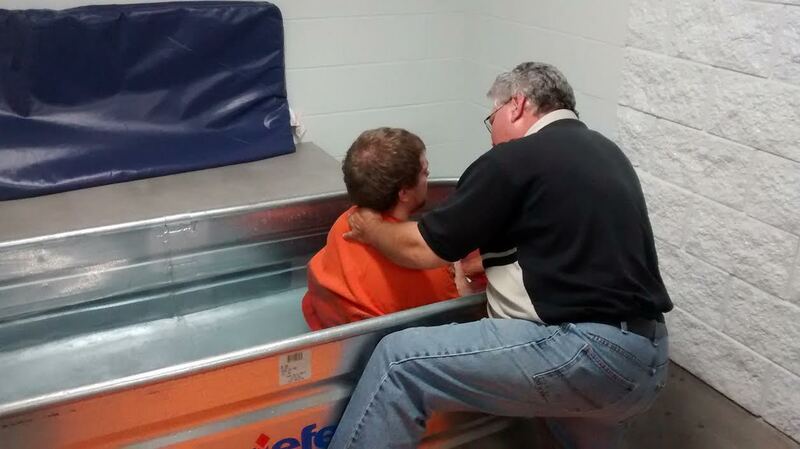 Lucas Applegarth came forward to be baptized into Christ. Lucas has been a friend to our congregation for some time and decided to become part of the flock. We are so glad to have him here at WCC. Surrendering to Christ in Christian baptism is always a wise move. Way to go Lucas! May 4th, 2014 was a great day with Stanley and Myrna Cairns coming forward to place their membership here with the Washington Christian Church. Many of our members and friends know the Cairns family already from a few years back when they were a part of WCC. They moved away and then later moved back to the Greenleaf area. We are so glad to have Myrna and Stanley as a part of the flock! Steve and Nelda Ottinger came forward on April 20th, 2014 to place their membership with us here at WCC. Steve and Nelda come to us from the Life Bridge Christian Church in Longmont Colorado and are now living in our community. Easter Sunday is a great Sunday to celebrate God’s power in their lives. Nelda was diagnosed with cancer (stage 4). Her cancer survival up to 2017 was miraculous! Steve and Nelda joining us on Easter made it even more special. The Lord has called Nelda home to be with Him. What a gracious woman of faith. March 30th, 2014 was another great day for Washington Christian Church. Marcus and Virginia Linck came forward to join the flock. Marcus began his journey in Christ with the Haversville Christian Church in Haversville KS. Virginia surrendered to Christ at the Morrowville Christian Church. We thank God for our sister congregations and are glad to also be a part of the spiritual journey for Marcus and Virginia. 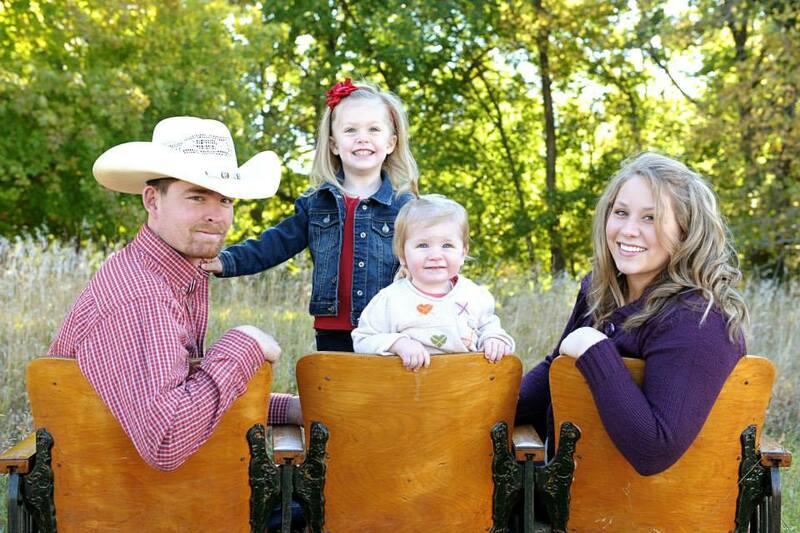 They came forward as a family with their two daughters, Madison age 3, and Macey age 1. Welcome to the family here at WCC! 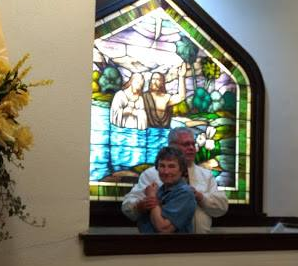 March 23rd, 2014 was a great day as Valarie McClellan came forward to surrender her life to Christ in Christian Baptism. Valarie confessed her faith in Christ as family and friends watched and encouraged her. We are proud of you Valarie! 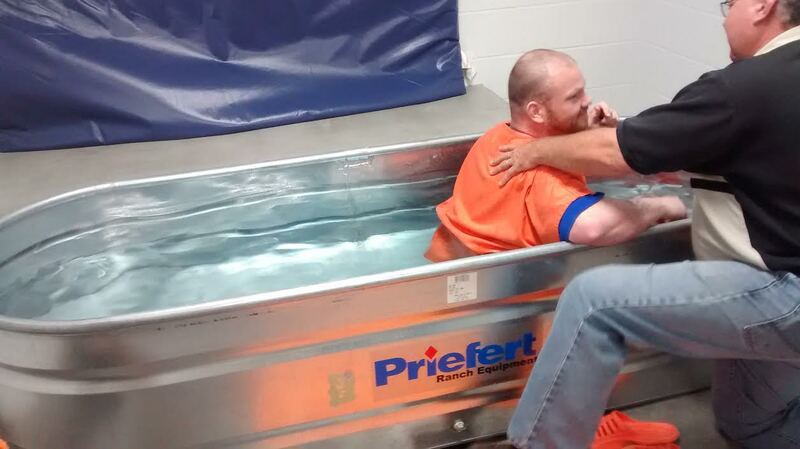 January 26th, 2014 was a great day as Sarah Portenier came forward to give her life to Christ. Sarah has been discussing this with her parents and with Jim and Carla Stark for over a year. We are so proud of this young lady. 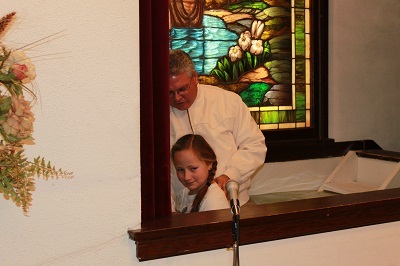 She was baptized by her father Dennis while her family and friends supported and encouraged her. Way to go Sarah! 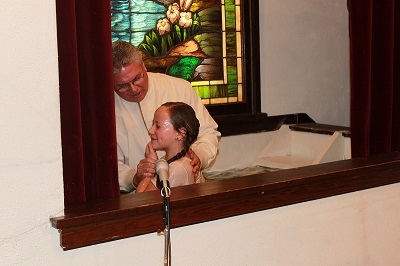 December 1st, 2013 was a very special day for Olivia Beikmann and her family as Olivia came forward to be baptized into Christ. Olivia wanted to come forward when her parents were baptized back in January. She studied the Bible and talked with her parents and decided December 1st was her day to surrender to Christ in Christian baptism. We are so proud of this young lady. She has just begun a wonderful journey of learning what it means to trust in Christ. November 17th, 2013 Sheila Layden came forward to confess her faith in our Lord Jesus Christ and surrender to Him in Christian baptism. Pictured with Sheila following her baptism are her son Asa and her good friend Will, who were there along with several church members to support and encourage her. Sheila has been studying with Jim Stark and others about what the Scriptures say about baptism. We are so glad to be a part of her spiritual journey. Welcome to the family! 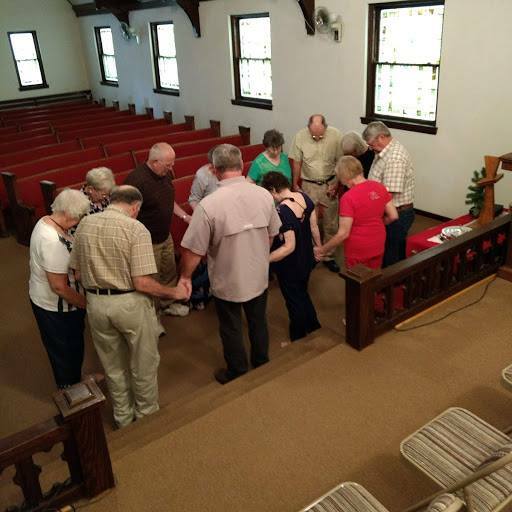 October 6th, 2013 Janice Radford came forward to join this congregation and become part of what God is doing in the Washington, Kansas area. It is great to have Janice as a part of the flock. September 8th, 2013 was a very special day for Virginia Woborny. On that Sunday afternoon, as Romans 6:1-4 tells us, she died to self and was “buried with Christ” in baptism. Virginia has believed in Jesus for many years but after studying the Scriptures has decided she needed to surrender to Christ in Christian baptism. We are so happy for her desire to continue to learn and grow in Christ. Virginia comes to us from the Waterville community. Several family members and friends joined her to support her decision. We are so proud of her! After studying the Scriptures and seeking God’s will, Doug Schwartz came forward to confess his faith and surrender his life to Christ in Christian Baptism. Doug believed in the Lord Jesus many years ago and was like the prodigal son story in the Scriptures. He came home to his Heavenly Father July 14th, 2013. Doug and Natalie Fisher were also married on July 18th on a beautiful hill at Natalie’s parent’s farm near Belleville. 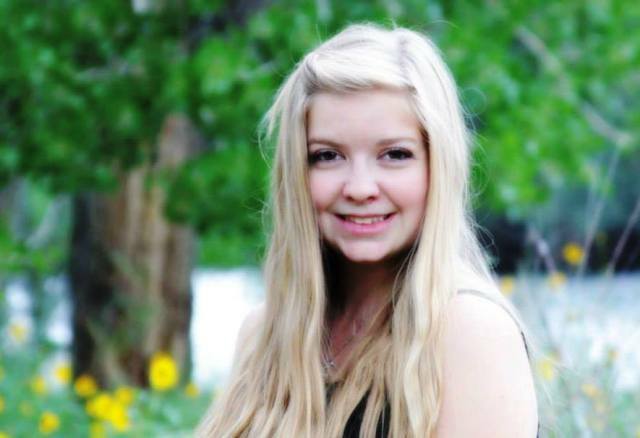 Natalie was a member of the Belleville Christian Church. Natalie came forward on August 11th to place her membership here with Doug joining her in support of their serving the Lord as Husband and wife. It is great to have Doug and Natalie Schwartz here at WCC. We are so happy for them both! 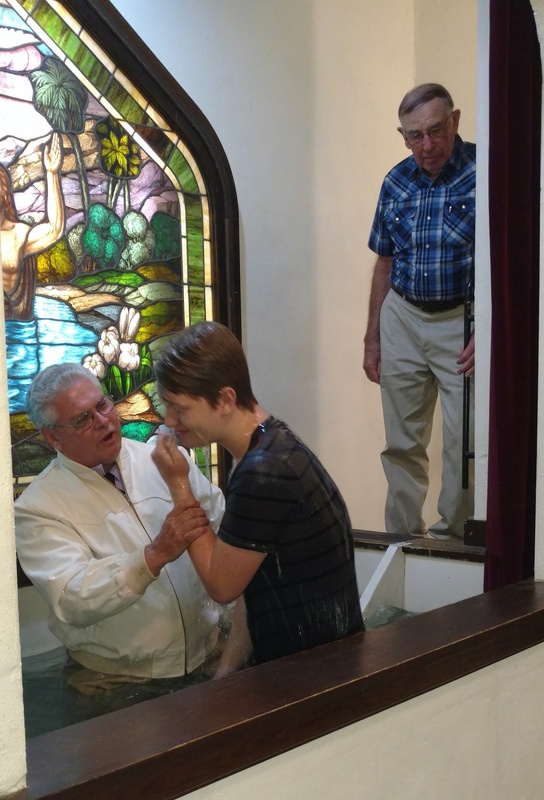 Mother’s Day is always special but this May 12th, 2013 was made even more special for the Graham family as Malachi Carder came forward to be baptized by his father, Matthew Carder. Malachi is the grandson of Blanche Graham. Malachi has several family members who are a part of the Washington Christian Church. The Carder family is pictured on our missions page as one of our missionary families we support. We are so happy for Malachi and his family. Their family has a rich heritage of serving Christ in our community. Surrendering to Christ is always a wise move Malachi! We want to welcome Mike and Glenda Uhlrich, long time friends of the congregation, who came forward April 7th, 2013, to confess their faith and let the congregation know that they are now members of the family. 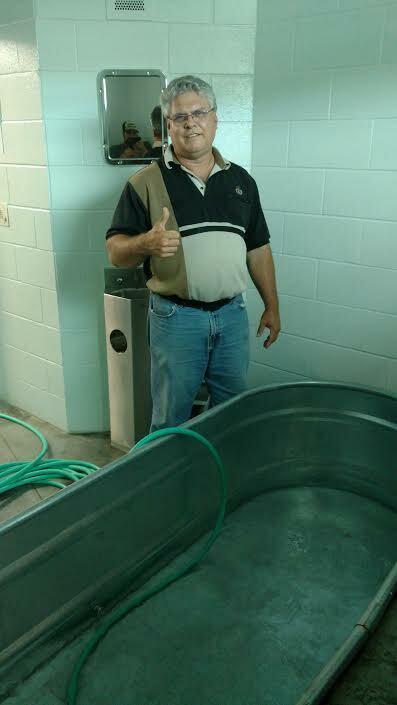 Mike and Glenda were baptized Tuesday night, April 2nd with family and friends supporting and encouraging them. We are so proud of them for taking this step of faith. Welcome to the family! 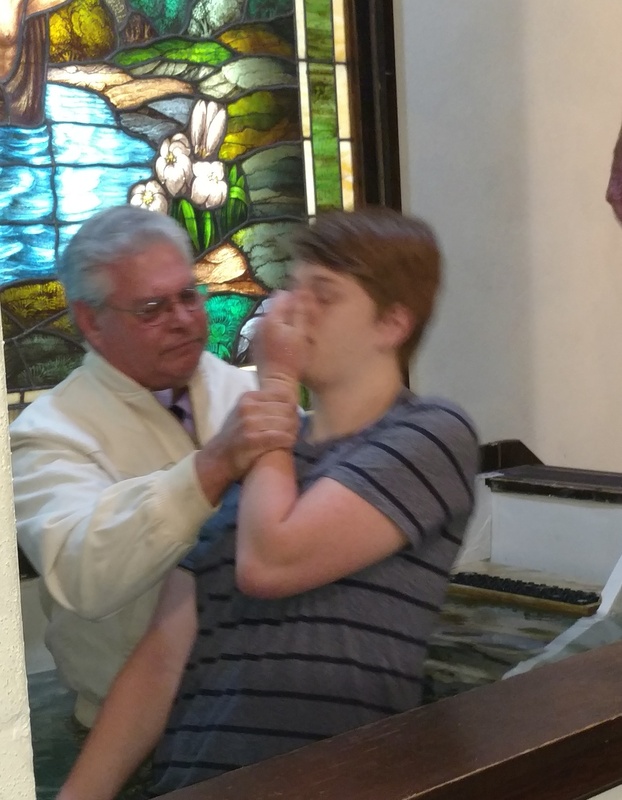 We enjoyed a very joyous Easter celebration on March 31st, 2013, made even more special as Austin Metz came forward to surrender to Christ in Christian baptism. Austin’s parents, Jeff and Jennifer, came forward to support him in his decision. Jeff Metz, Austin’s father, participated by adding water from the Jordan River that he brought back from his time in Israel. 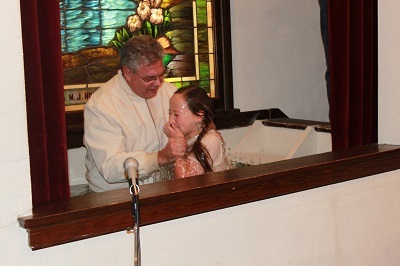 Breanna Kohlmeyer and Jenna Habegger also came forward on Easter to be baptized. It was a wonderful experience seeing so many on Easter making such important decisions for Christ. Jenna and Breanna were baptized Sunday Evening with Lisa Derr (Jenna’s mom), and Robb Kohlmeyer and Jennifer Watters (Breanna’s dad and mom), and other family and friends there to support and encourage them. We are so proud of these young ladies. Congratulations to Brayden Hubbard on his decision to let Jesus be Lord of his life. 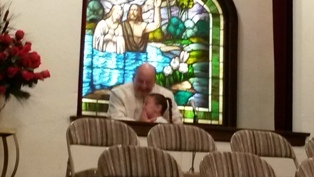 Brayden came forward March 24th, 2013, to be baptized. Brayden’s parents are Randy and Helen Hubbard who came forward to support their son in this very important decision. Welcome to the church family Brayden! January 13th, 2013, Jeff and Megan Beikmann came forward to confess their faith in Christ and to be buried with Him in baptism. We were so happy to have the Beikmann family joining us to serve our Lord. Jeff and Megan have four children, Kirsten, Ian, Dylan, and Olivia. Welcome Beikmanns! It is great to have new sheep in the flock! (The Beikmans have moved to Belleville Kansas. We are happy for them in their new location. We welcome the Beikmann family. On January 13th, 2013, three friends of Washington Christian Church have decided to become members and a part of what Christ is doing here at Washington Christian Church. Mike and Kathy and their son Ben McCall came forward to transfer their membership to serve the Lord here in Washington. 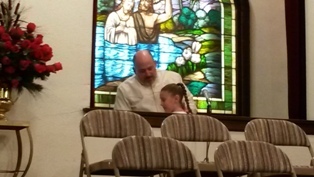 Their son Micah McCall and daughter Cheyenna McCall also became members last year when they were baptized into Christ. We are happy to have the McCalls serving our Lord together with us. We had a very joyous celebration in worship December 16th, 2012, as the Willbrant family came forward to join the flock. David and Jennifer and their kids: Carly Crome, Kileab, Gatlin and newest member Rylan Walker, made the service even more special than usual. The congregation joined the parents, David and Jennifer, as Rylan Walker was dedicated to the Lord. The three boys have all been dedicated by their parents and we look forward to growing along with them as we all study the Scriptures together. David and Carly were immersed in Christ in accordance with the Scriptures. David began his journey in the Methodist church and Jennifer was baptized by John Frey. The Willbrants are not new faces around here. They have been friends of the congregation for some time. We are so thankful for chapters new and old in the spiritual journey of each of our church members! So glad you are here! July 29th, 2013 during morning worship, Cheyenna McCall committed her life to Christ and surrendered to Christ in Christian Baptism. What a great day to celebrate what God is doing in this energetic young ladies life. We are so happy for Chey and her family. Chey is the daughter of Mike and Kathy McCall. God is good!!! We are so happy to be a part of the spiritual journeys of Macie Peutz & Francesca Puetz and Colton Medcalf who surrendered their lives to Christ in Christian baptism on July 22, 2012. Macie, Frankie and Colton are the grandchildren of Ruby VanAmburg. We were so pleased to be a part of this special day! Ruby was baptized in this church 65 years ago. Please pray for these young people. We are so proud of them. 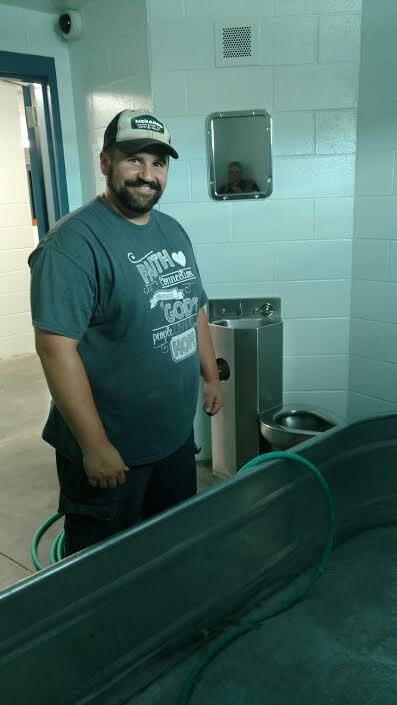 Micah McCall surrendered his life to Christ in Christian Baptism July 15th, 2012 after the Sunday evening Bible study, “Experiencing God”, led by Matthew Carder. The Bible study group joined Micah at the swimming pool to help him celebrate this important decision. Congratulations Micah! Jack Bell, a long time resident of the Washington area, was baptized into Christ on March 29th, 2012, at the Homestead Nursing Home. Jack had always wondered if it was too late for Him to be baptized. Trusting in Christ is a wise move at any age! In March of 2012, Jim S. shared with Jack the parable from Matthew 20:1-16 of the “Workers in the Vineyard”. The “eleventh hour workers” were like those who came to the Lord late in life. Jack passed away October 7th, 2012 at the Homestead Nursing Home at the age of 83. Welcome home, Jack. Jack and his new Bible.